For well over a decade now, Canadians have become accustomed to seeing “.ca” all over the web. The Canadian web suffix is one of the fastest growing top level domains (TLDs) in the world. For many domain registrants, .ca serves as a branding tool to designate a site or product as being “made in Canada”. While the web may not have national boarders (at least not the type patrolled by customs agents), the argument can be made that a .ca designation serves as a key identifier and one Canadians (and those seeking Canadian content) use often to distinguish sites registered in Canada from the rest of the internet’s vast repertoire. .ca is a “country code top-level domain” (ccTLD) and like any TLD must be overseen by a governing body. The Canadian Internet Registration Authority (CIRA) is the organization responsible for managing the .ca domain. Established in 1998, CIRA took over the management of the .ca domain in 2000. Until that time, it was overseen by a volunteer organization based out of UBC (lead by John Demco, former Computing Facilities Manager at the UBC Department of Computer Science). According to CIRA, since it’s founding, over 1.6 million .ca domain names have been registered. Among the many tasks CIRA carries out, probably the most important is the implementation of its Domain Name Dispute Resolution Policy (CDRP). This policy (an off-shoot of ICANN’s Uniform Domain Name Dispute Resolution Policy (UDRP)) is CIRA’s adjudication process by which trademark owners and businesses may enforce their marks against registrants who they believe are in violation of their rights. 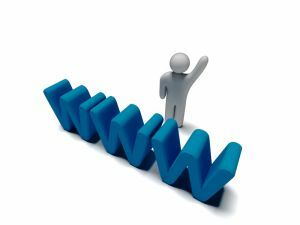 Businesses can also use this forum to combat cyber squatting- the practice of buying up domain names only to sell them to businesses who wish to register them at a higher price. “Rights” and “Use”: CIRA has seen fit to do away with these definitions in the policy. On their web site CIRA explains that these definitions are more than anything a hindrance and create “overly technical and complex requirements in terms of what rights qualify for protection”. Codification of “confusingly similar” analysis: CIRA has opted to standardize the test utilized by its panellists when determining whether a domain name is confusingly similar with a complainants mark. They’ve opted to use the “narrow resemblance” test over the traditional , broader confusion analysis of trademark law. This test focuses on how much the domain name in question resembles the complainants mark in “appearance, sound and suggested idea” (see CIRA web site for more detail on the test). Changes to Bad Faith: If a complainant wishes their action to succeed, they must show, as per paragraph 4.1 of the CDRP, that the domain name was registered in bad faith (the act defines bad faith in paragraph 3.5). The bad faith factors listed in the policy are now non-exhaustive- meaning that complainants may attempt to show bad faith on the part of the registrant in a manner not specifically contemplated by the policy. CIRA has also added "use for commercial gain" to the list of factors mentioned in the CDRP. Electronic filing: CIRA is now allowing parties to file all documents electronically in addition to hard copy filing. If one wishes to file documents in hard copy, five copies must be made and faxed where one electronic copy is sufficient. Wouldn’t it be nice if courts would follow suit...we can dream. A more exhaustive list of modifications made to the CDRP can be found at the above link to CIRA’s web site. Only time will tell if CIRA’s new moves will have the effect of streamlining the domain dispute resolution process. The standardization of the confusion test should militate in favour of that reality while the opening of the bad faith factors may (according to Geist) hinder it. Whatever, the outcome, no one can rightly accuse CIRA of inaction.